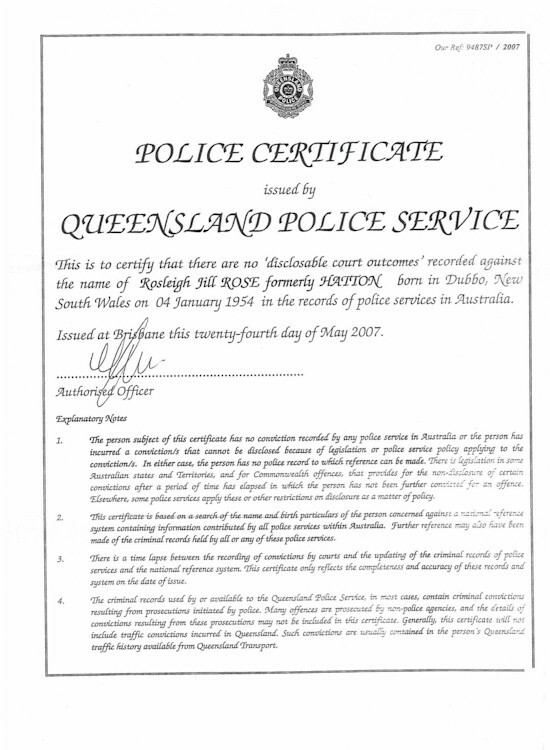 As demonstrated in The Expendable Dossier, sections of the Australian media were encouraged by the government to embark upon a lengthy campaign of smear, innuendo, and fabrication, which misrepresented Schapelle Corby and her family. 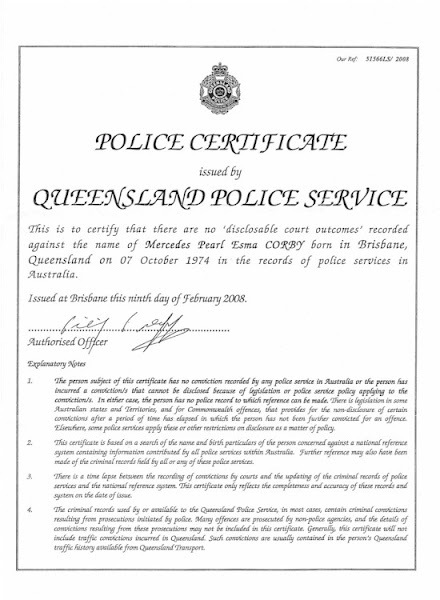 The following certificates were issued by the Queensland Police Service to help counter these false allegations, and state that there were no convictions against them. 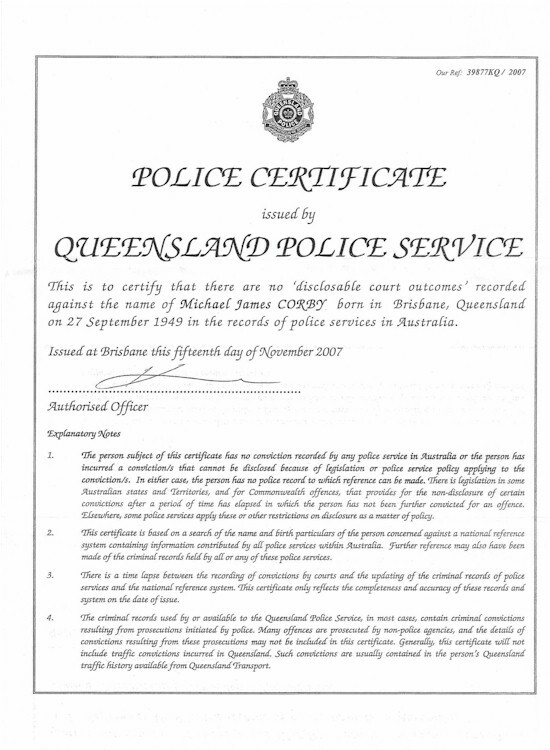 These were completely ignored by the ABC and those journalists responsible. 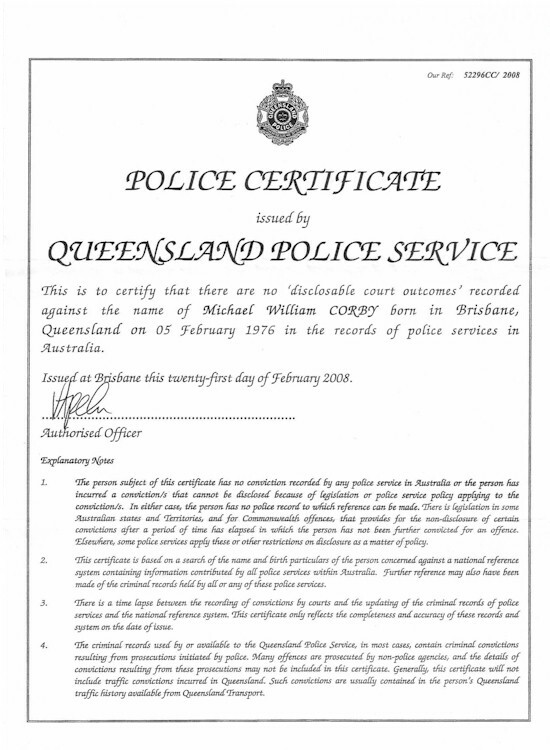 Schapelle Corby's certificate was issued earlier, and can be viewed on its own page.